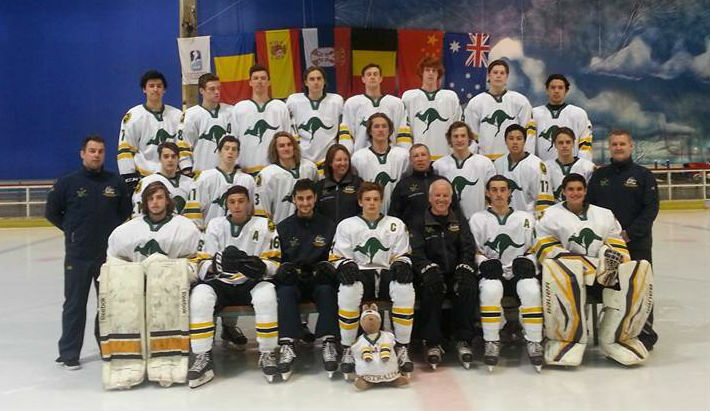 The 2016 Youth Team has been announced and it is all about building for the future. After scouting state tournaments, a tryout process and co-ordinating overseas coach Steve Laforet is very excited about his playing group. “I was looking for players that would be the beginning of a new pathway to our U20 and Men’s team so we have a solid future coming through” explains Laforet who has been working with both Marcus Frankenberger(U/20), Brad Vigon (Men’s Team) and Ryan O’Handley to align the programs. “If we try and follow the pathways of countries like the US, we can prepare our earmarked players much earlier and control their growth from the ages of 15 and up” adds Laforet. The team heads off to Bulgaria 14th March for the Division 3 Group A Tournament and take on Turkey, Israel, Mexico, Chinese Taipei and Bulgaria. Last tournament the Aussies were unfortunately relegated from the Division 2 Group B. They managed to defeat Serbia in a shootout 4-3 midway through the tournament but couldn’t build off that momentum in a competitive tight group. Australia starts the tournament by taking on the host nation which always a tough test. The Youth Teams goal going into the tournament is to be strong defensively. “We want to strengthen our defensive zone coverage and stop teams scoring. We then need to capitalize on other team’s mistakes and focus on staying penalty free”. If the top seed can follow the game plan they are surely a chance of getting back up to Division 2 for redemption. See the 2016 Youth Team below. You can follow them at the http://www.iihf.com/competition/551/statistics.html as well as the IHA Facebook page during the tournament.